During the early 1960s, Bridget Riley worked mainly in black and white using repeating patterns of squares, rectangles, ovals, circles and wave-like shapes positioned according to precise mathematical formulae to create a sensation of movement in her painting. 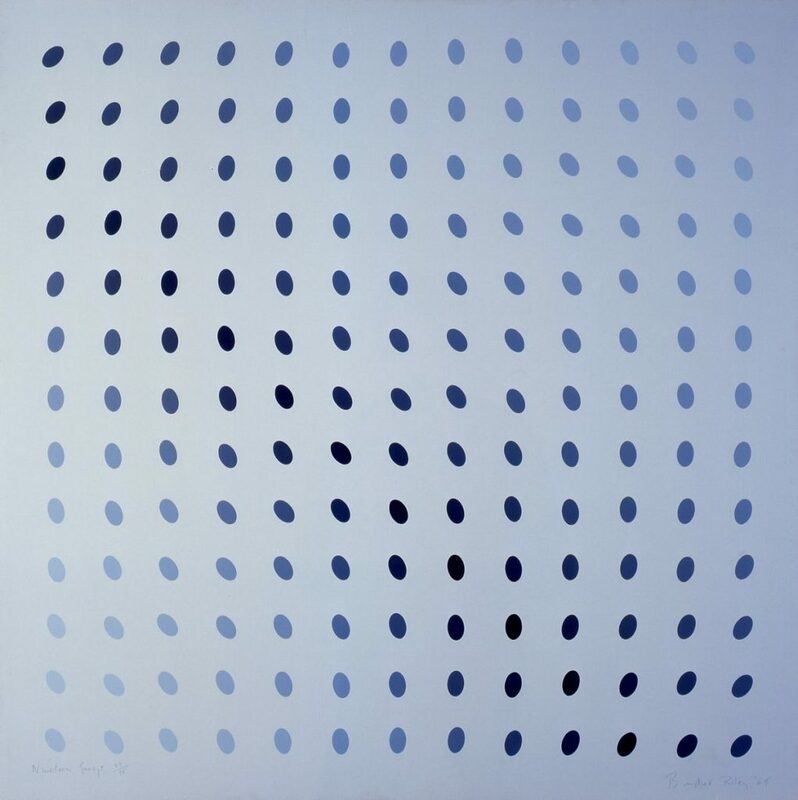 From the late 1960s she began to work with colour, juxtaposing zones and bands to suggest movement and shimmers of light. Her work became synonymous with the swinging sixties, a period of extraordinary cultural activity and radical social and political change in Britain.